An aromatic herb used for seasoning cheese, egg, beef, veal and poultry dishes. Retains its flavour during cooking - ideal for stews and casseroles. In herbalism used as an antispetic. HP - Hardy perennial. Height 23-25cm (9-12"). Simon says: "The kitchen herb garden essential! 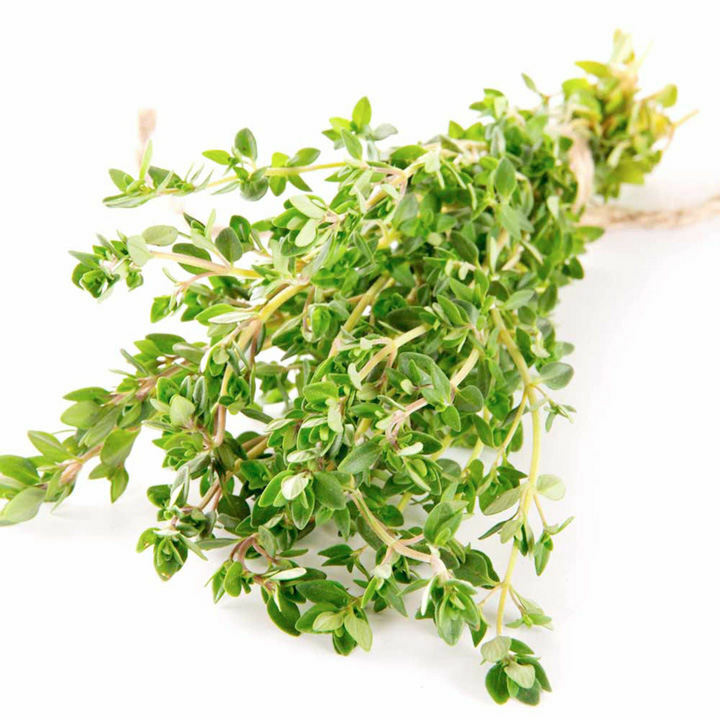 We use thyme as the base to all of our great recipes. It's a herb we can't live without." Aromatic and has many uses!